The authors of International Organizations: A Companion offer a question and answer piece to accompany their pioneering and comprehensive analysis of over one hundred international organizations. Michael Davies and Richard Woodward explain why their textbook will serve as an essential companion volume supplementing other core texts in the field. Q. Why is there a need for this textbook? A. While there are many text books on international organizations they tend, like much of the specialized research in this area, to be obsessed with a relatively narrow stratum of high profile bodies, most notably the United Nations, the European Union, and the Bretton Woods institutions. Consequently these texts illuminate only one small corner of the universe of international organizations. We suggest this is problematic for three reasons. First, the higher profile bodies are not necessarily representative of international organizations more generally. Second, by ignoring international organizations operating in areas such as science and communications, these existing texts understate the importance of international organizations to everyday life. Finally, the less celebrated international organizations make critical contributions to the ventures of their more illustrious counterparts. For instance, scrutiny of poverty and underdevelopment routinely hinges around discussions of the International Monetary Fund and World Bank but overlooks the Consultative Group for International Agricultural Research, an organization whose work catalysed the enormous strides in agricultural productivity in the latter part of the 20th century and remains crucial if the world is to solve its looming food crisis. Q. What will students get out of it? A. Rather than seeking to replace or compete directly with the books in this already saturated market place, our book complements them by offering a text whose principal focus is the international organizations themselves and which is distinctive by virtue of the unique breadth in its coverage as we deal in varying levels of detail, with over 120 organizations. In other words, the book’s main objective is to serve as a companion volume to supplement core texts on a variety of undergraduate modules dealing with subjects where international organizations have a prominent role including international relations, international political economy, the international security environment, and global governance. As we alluded to above, this book also seeks to alert students to the fact that global issues and problems are normally the responsibility of a coterie of international organizations working in concert. For example, examinations of trade in current texts on international organisations tend to limit their focus to the World Trade Organization and major regional trade organisations. In contrast we have sought to highlight the important roles played in global trade governance by a broader range of international organizations that other texts typically omit including the Organization for Economic Cooperation and Development, the United Nations Conference on Trade and Development and the various bodies concerned with intellectual property such as the World Intellectual Property Organisation. Background sections chart the origin and evolution of the organization, its mandate, and the means through which the mandate is pursued. Structure sections explore the internal governance of organizations, sketching the roles, relative powers, decision-making procedures and influence of key bodies, states and individuals, the functions of important units within the structure and the interaction with non-members and civil society actors. Current activities sections detail the contemporary work being undertaken by international organizations in pursuit of their mandate. Evaluation and future challenges sections assess the extent to which each organization has achieved its stated objectives and outlines the principal challenges confronting the organization as it seeks to deliver its mandate in future. Q. Who else will benefit from reading the book? A. The concept for this book arose as a result of a public lecture series given by one of the authors when he realized that there was no single text that would give the participants a comprehensive overview of the work of international organizations. Although the book is aimed primarily at undergraduate students, we believe that there is an important secondary readership to be found among concerned citizens who are interested in international affairs such as journalists and those working in international non-governmental organizations. Moreover, as one of the reviewers of the books has noted: “professionals, international businessmen, even diplomats will find this a mine of relevant information”. Q. Was it easy to decide which international organizations should feature in the book? A. We had some lively debates about this and the extent of the coverage specific institutions deserved! One way of narrowing the field of enquiry was to demand that the body concerned, as it is presently constituted, met the definition of an international organization outlined in the book’s introduction. Even this was not always straightforward. For example, during the time we were writing, the Arctic Council was transformed from a relatively informal institution into a fully-fledged international organization. Thereafter, the task became more difficult and decisions about what to include inevitably came to reflect our more subjective judgement about the importance of an organization to global governance. With some organizations there were also discussions about where they best slotted into the book. For instance, we think the European Central Bank is best seen as one of the international organizations responsible for managing the global financial system rather than simply being part of the wider European Union project. Q. What events in history had the most influence in creating international organizations? 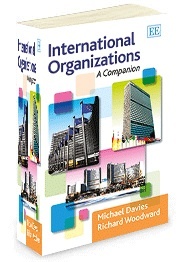 The early chapters of the book provide an historical overview of the development of international organizations. The conclusion of major interstate conflicts have often provided key turning points for developing new or reforming existing international organizations as states have sought to prevent such conflicts recurring. Many trace the origins of international organization to two nineteenth century Congresses held by the victors in the Napoleonic Wars and the resulting Concert of Europe system. Although meetings between Europe’s Great Powers fizzled out, over 100 international conferences were convened under the broad aegis of the Concert System. The practice of state representatives meeting regularly began to take hold and many conferences provided the intellectual starting points for embryonic international organizations in the form of Public International Unions. In the twentieth century the two World Wars were the crucibles in which many modern international organizations were forged. The Versailles Treaty that followed the First World War created organizations including the League of Nations and the International Labour Organization which set the tone and template for a second, larger, group of organizations that arose after 1945, most notably the United Nations system. Q. What about the future of international organizations? A. Though they are much maligned, one of the book’s key conclusions is that there is a bright future for international organizations. The number of states (the key constituents of international organizations) continues to grow, as does their awareness of their inability to tackle many of the most pressing problems of public policy without institutionalized international cooperation. Even vociferous critics of international organizations grudgingly concede that they are often the least bad solution to intractable international policy problems. For example, The Economist, a publication that is often quick to seize upon the inadequacies of extant bodies has keenly advocated new international organizations to handle problems including space debris and governance of the oceans. That said, the changing nature of global power means the international organizations of the future may look significantly different from their contemporaries. One dimension of this is the changing contours of interstate power, most notably the rise of the BRICS, that is challenging the legitimacy and effectiveness of international organizations frozen in the ‘1945 moment’. Incremental changes to the decision making structures of many organizations are already under way and seem set to accelerate. A second dimension is the growing ascendency of private power in many arenas of human activity. 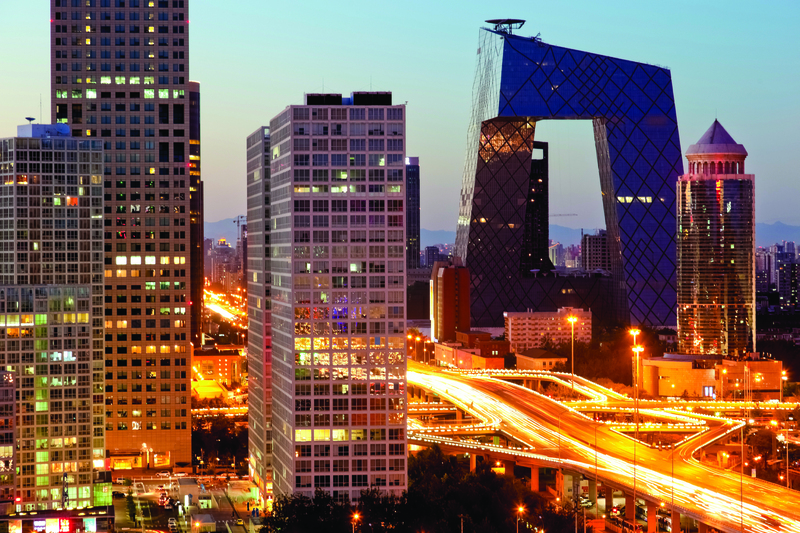 We suggest that the predilection for privatisation and market solutions is fundamentally altering the nature of some international organizations. For instance, the Universal Postal Union (UPU) and the International Telecommunications Union (ITU) have been forced to enact reforms that give greater voice to private sector interlocutors at the expense of government representatives. This process has been taken to its logical conclusion by the privatization of the international organizations responsible for launching and operating geostationary satellites, Intelstat and Imarsat, the latter of which recently hit the headlines following revelations that it owned the satellite with which the missing Malaysian Airlines flight MH370 last made contact. In short, it would appear that some international organizations are going ‘back to the future’ with the prominence of private actors and the outright privatization of some bodies meaning they increasingly resemble their 19th century forebears.